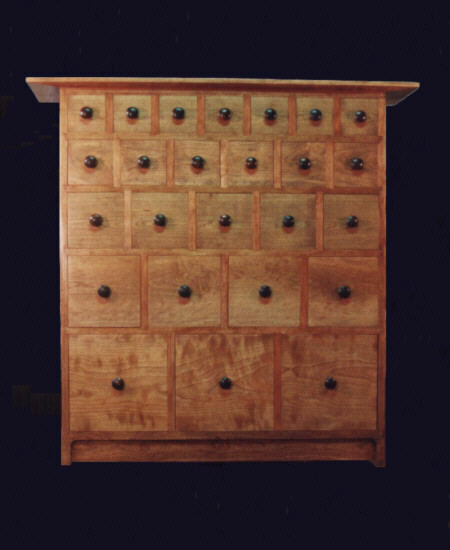 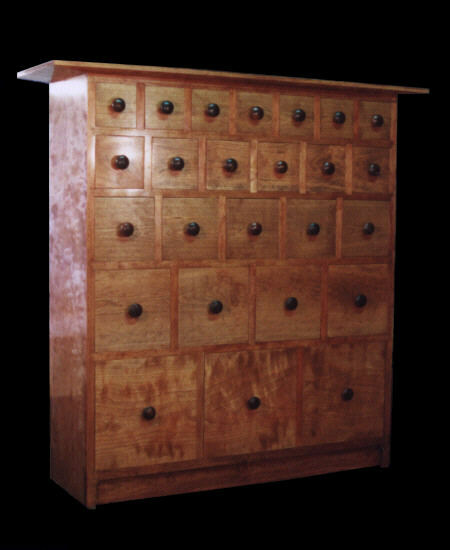 Here are photos of my 25 drawer apothecary cabinet design. 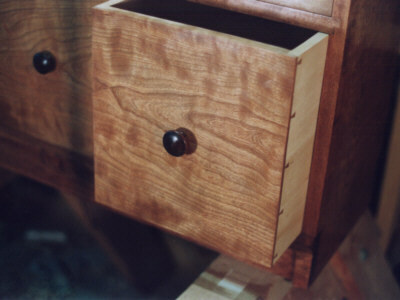 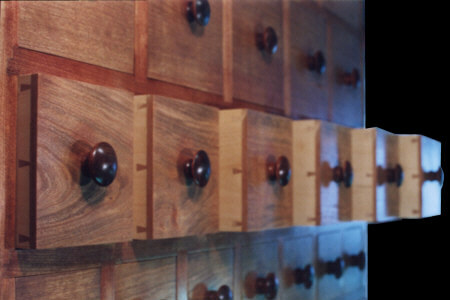 The cabinet casework is made of locally grown solid cherry through and through. 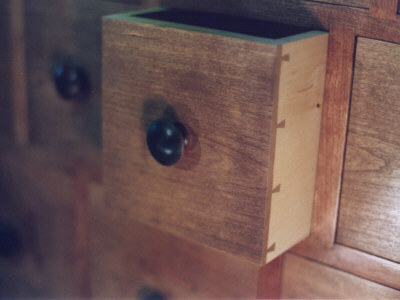 Drawers are almost airtight as usual. 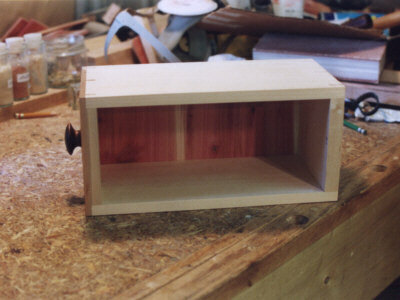 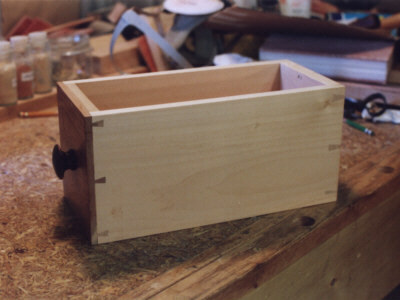 The Drawer insides are made of basswood with aromatic red cedar bottoms. 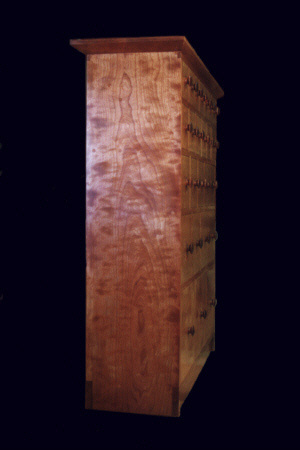 The cabinet measures W=47 1/2", by H=47 1/8", depth is 12", top 14".